Understanding food safety and handling is essential in early childhood education and care. Practical Outcomes’ food safety and food handling course is designed for anyone working with food, providing the knowledge and skills you need to safely prepare, serve and store food. Our courses are tailored towards the community services industry, providing industry-relevant knowledge and skills. 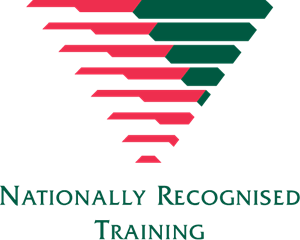 Practical Outcomes’ food safety courses are all nationally recognised. This course is designed for people involved in food preparation and provides basic hygiene principles for all food handlers in the health/education sector. Any service or business that serves food, even snacks must ensure that members of their staff are trained in food safety hygiene. This course is delivered over 3 hours in a face to face class and includes two post-course assessments. This course is offered just for large groups onsite or at one of our training rooms. Complete enquiry form below to make a group booking. This skill set reflects the skills required to prevent, recognise and address food handling hazards in a health or community services workplace. The role includes supervising other people handling food to ensure it is safe for consumption and ensuring food handling practices adhere to the organisation’s food safety program. This course is delivered over 6 hours in a face to face class and includes two post-course assessments. This course is offered just for large groups. Complete enquiry form below to make a group booking.